I am thrilled to be able to offer this Giveaway for 4 tickets to the Ice Castles in Lincoln, New Hampshire. The Ice Castles are an acre-sized winter wonderland, crafted by hand using only icicles and water, and resemble organic formations found in nature, like those of frozen waterfalls, glaciers or ice caves. Here are the Giveaway details: The winner will receive 4 Tickets to see the Ice Castles in Lincoln, NH. How to Enter: You can enter using Rafflecopter below. The contest will run from Sunday, January 18th through 11:59 on January 25th. Many thanks to Ice Castles, LLC for sponsoring this Giveaway! This would be an awesome way to spend time with my family! These look so pretty !! I think the Ice Castles area amazing and want very much so to take my 3 children. It would be a new memory and a new experience that we all share together. Good memories are the best to fill our hearts and those of our children. I haven’t gone yet yet so this will be our first time! I’m so excited! My daughter is 10 months and this also her first winter!!! My family and I visited last year and enjoyed it. Kids are already excited to go again this this year! Would love to see this large scale amazing ice art! Our family would love the chance to see the Ice Castles!! These look beautiful! I can’t wait to go! I have never been to ice castles, would love to take my son! My 9 year old would LOVE this!!! Love your website! Would love to take my “frozen” obsessed cutie!! Thank you for the opportunity to win tickets to this attraction. I am so busy with working, going to school, and bringing my two daughters to and from all of their activities during the week. Free tickets to go see the Ice Castles would allow my children and I to have some relaxing fun with a gorgeous scenery. Many of my friends have gone to the Ice Castles and I would love to share that experience with my two daughters. What a beautiful and magical place to share with my children! I have never heard about the Ice Castles. I bet it’s a really neat experience. Would love to check the Ice Castles out! I love all the pictures we have seen of the ice castles. My daughter has frozen fever and believes that these were made by Elsa. We would love to visit the ice castles with our family! This would be a great experience for our family! Looks amazing! Can’t wait to go! Cannot wait to visit in February. This looks like so much fun! My family would love it! 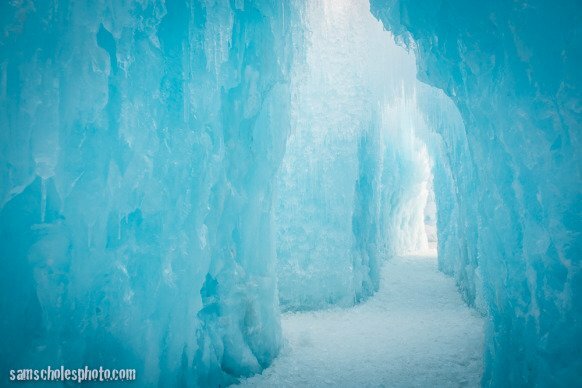 I just recently heard of the Ice Castles, we would love to take my two boys! They’d be amazed! The ice castles are a great idea! My kids love to built snow forts & this is a gigantic version to keep their imagination going! Would love to take my kids…looks amazing! Looks like a fun day trip. Thanks for the chance to win. I have never heard of the ice Castles. but some of my family has been there and put pictures up on their Facebooks and what I have seen of it I love it!!!! I know my husband and our kids and my self would love it!! thank you so much ..
I’d love to take my granddaughter! We went last year when it was on the smaller scale. I was super excited about heading up this year and seeing what it looks like. I’m Definitely going. Hopefully my toddler will like it. I have heard nothing but awesome things about the Ice Castles!!! I hope to get there with my kids this year!! Hoping to get up there this winter! Can’t wait to go, whether we win or not. so beautiful! I never heard of the ice castles before! This would be quite an experience. My son would love this! Yes please my family would love to experience this! We went to the ice castles last year and LOVED them! Can’t wait to go back! I would LOVE to bring my children here & really hope to win these tickets! 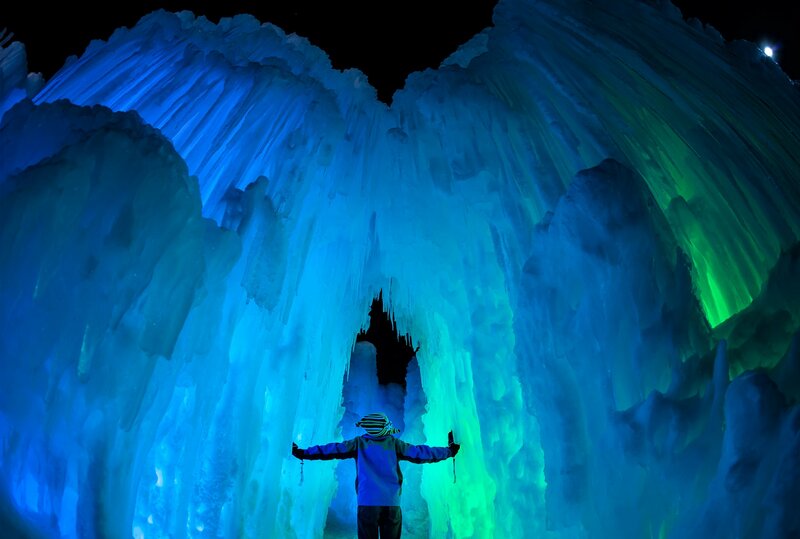 The Ice Castles look incredible this year – hope to take my 18-month-old and some friends! My Frozen fans would LOVE this! I have been trying to win tickets! This place looks amazing!!! Wow I would love to take my Grandchildren.. None of us have been, what an amazing adventure for us! I would love to take the beautiful drive out there to see even more beauty! Planning a trip with the kids! This is so awesome! We would love to check this out. Going there soon!!!! Would be awesome to win tickets!! Would love to win tickets and bring my kids! We are dying to go! Would love the experience with the twins. Who doesn’t love ice in the winter!!! Pick me! I wanna bring my family so bad! Our family would love to see this breathtaking creation live!! I’ve heard excellent reviews! We would love to take a day trip w/our 3 kids & show them some of the wonderful things in our state! they look so beautiful. I would love to see them in person.